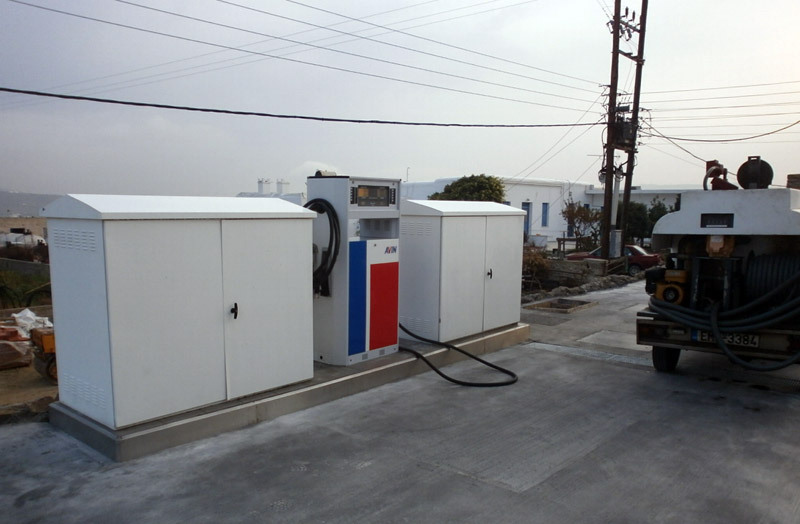 Fin-pump units, ATEX certified, suitable for fuels (gasoline and oil). Their construction is heavy and covers a wide range of applications in fuel distribution stations, heating warehouses, transfusions, etc. 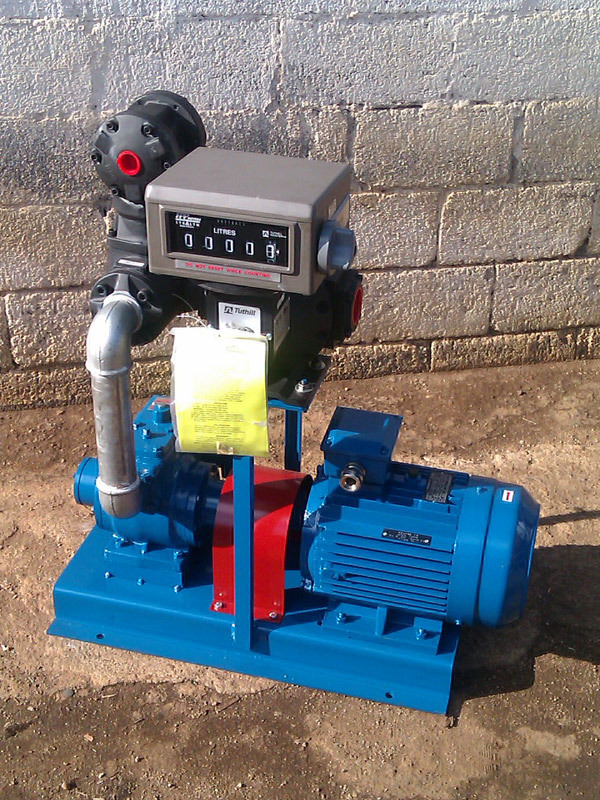 The design of the construction, the pump and the motor are fixed on a metal base for ease of installation. They include infrastructure for meter installation. 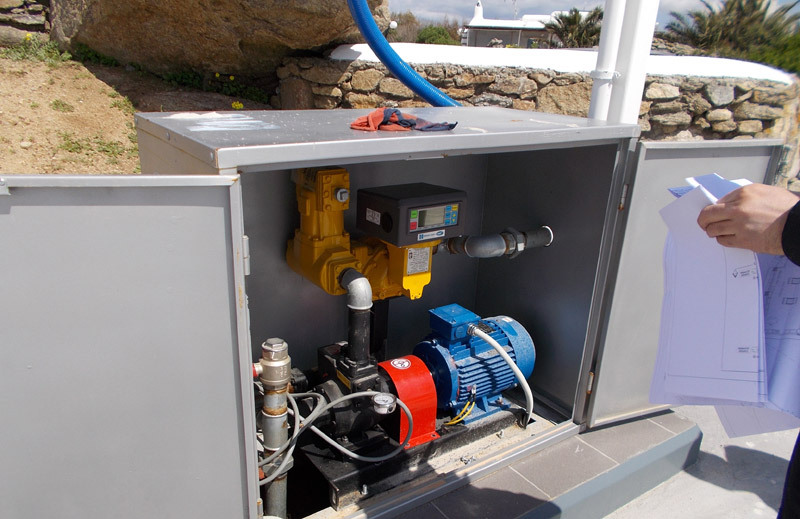 Vane pumps – due to the fact that there is no metal to metal contact, they are cost-effective, regarding their maintenance, without this fact affecting their performance. 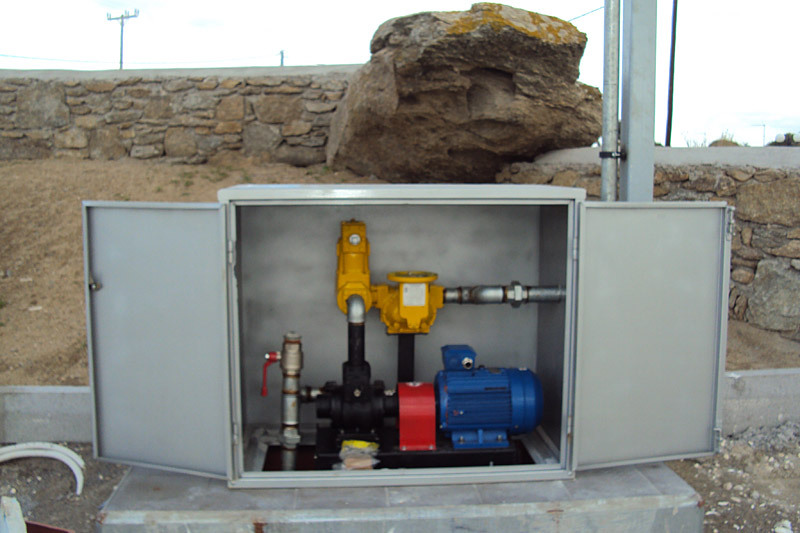 The range of supply of pumping stations, starts from 150 and reaches to 1,000 liters per minute. 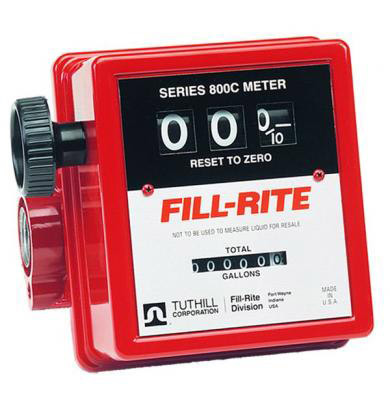 The 1½“, 2″ & 3” MC fuel meters can meet all of your requirements. The electronic recording of Veeder, root EMR3, is an integrated solution. The unit includes the main part with the display, the interconnection box, IB-BOX, and an optional interface kit for most of the available meter brands of the Greek market. To protect the pumping complex, we can build a protective cover. 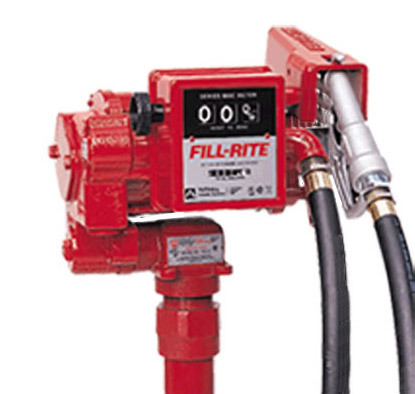 The special type pump, FILL-RITE 12-24V 75 lpm, is used in refueling boats (petrol).